Greetings to friends, poets and story-tellers! 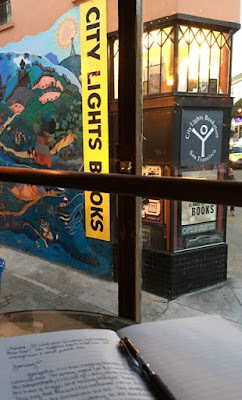 So many awards ceremonies have been hosted this year, culminating with the Academy Awards last Sunday and it got me thinking about the enduring role of storytellers in society. As poets, we are a part of the oral and written tradition, adding our voices to the age. Sometimes it may feel like our words are a mere drop in the ocean of time, but they are part of a great pattern. Let us celebrate being a part of the story. Please share a poem of your choice. No Rules. No Prompt. No Expiration Date. I always claim February as my month, and become very self-centered. February 11th is my birthday, but i carry on and on in mode 'pest-y' until the month passes. Writing in a 'hobby mode', is what i do. I stake no claim to the tag of professional, and as i channel my way through retirement tunnel, I love the friendships, this path has thrown across the ways. The flames of light bouncing shadows playfully to dance on the walls of unknown territory. 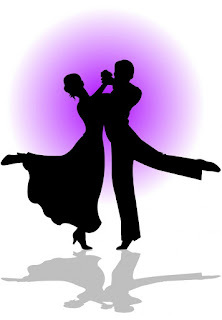 The challenge of words, bending and stretching my mind keeping me young and vibrant in my sixties. One such challenge stretched my bow to tension of form-creating. When i let my arrow fly. There it was THE FOLD: right on target. 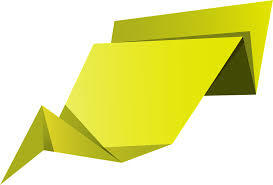 Yes toads; The Fold was created in response to an online challenge to create a form. Now years later down the road, it is documented as a writable, usable form. Poetic form can be defined in different ways, but it is essentially a type of poem defined by the poem's physical structure. Additionally, it defines a specific style or set of rules that must be used for writing that form. Remember, as you fashion your words; have fun. Then link your poem to Mr Linky and read the poems of others listed. My view from Cafe Vesuvio (where the beats wrote), across the alley the fabled City Lights Bookstore. Photo taken on 1/5/17, San Francisco. In the current political climate of my America shaped box, leaders are lifting lines directly from one of my favorite authors - a man whose books are read in every high school in America - George Orwell. Hearing all the Orwellian chatter brought me right back to the classroom. And so it is in that spirit which I present to you today's challenge. The challenge is simple. Write a poem in the form of a multiple choice test. The whole poem could be a test, or you could insert a multiple choice some where into the normal structure of a poem. I've provided links to two examples from my blog. Feel free to use them as a starting point. 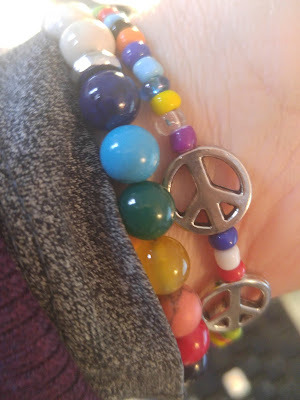 Proceeds from purchase of the rainbow bracelet for the onePulse Foundation, Orlando, Florida. Peace bracelet made by friend of the Garden, Charlie Clevenger. Smile! C'mon in, the Platform is yours today! Please share a poem with us. Long or short, old or new, it’s up to you. Remember that links in the Garden do not expire, so feel free to link up on Wednesday or later in the week. And don't forget to take some time during the week to read the work of other participants. Today is the day we put the "mini' back into the Sunday Mini-Challenge, and return to the option of form poetry. The object of this challenge is to write a poem in no more than 10 lines (but you may write in fewer than 10 lines all the way down to a single American sentence). Choose your own form or write in free verse, if preferred. 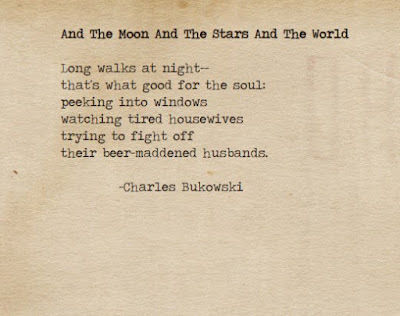 This weekend, our frame of reference is "And the Moon and the Stars and the World" - from the title of this poem by Charles Bukowski. Welcome to Artistic Interpretations. 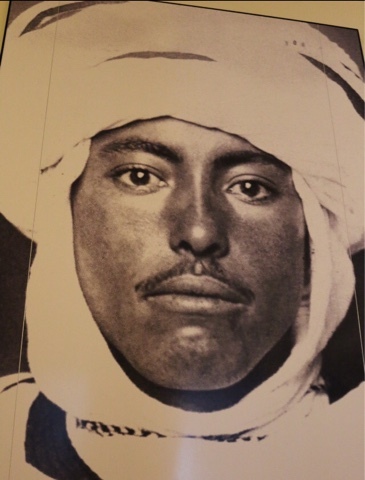 This time around, the theme is "Immigrant Portraits". The Challenge is wide open - any style or form of poetry. I do request that all poetry be new to this challenge. I prefer you respond to these images or text, however, if you have a unique image you would like to use, I am open to that. If the poetic content involves current political issues, I ask that all comments be directed toward the poet's artistic ability/written word and not segway into a political debate or negative commentary. Perhaps it will be fun to write a fictional narrative, or maybe do some research and write a poem based on a non-fictional story from the past. If you are blessed with a family member's history of an immigration journey (it doesn't have to be to America) passed down, please write about it. 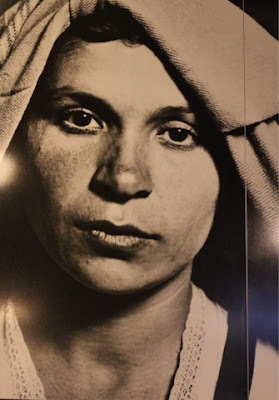 Maybe there is a recipe that was handed down from the old country, and it evokes a memory... Maybe the portrait staring back at you elicits an emotional response... Like I said, this prompt is wide open. Have fun. Feel free to write and link more than one poem. I apologize for the large quantity of photos - but I wanted to give the widest range of inspiration that I could. Mr. Linky is at the bottom of this post and as always, please visit the other poets! note: I took all of these photos with my camera - photography is allowed in the Ellis Island Museum. The portraits are huge and it is hard to get a good quality image as there is a light above most of them - I did my best with my iPhone. Most of the paragraphs below are from signs posted in the museum as well and their content is scattered throughout this post. Augustus F. Sherman, a U.S. Immigration Service employee on Ellis Island from 1892-1925, was also an amateur photographer. Sherman generally asked immigrants to pose for the camera dressed in their native costumes. His collection of over 135 images provides an extraordinary record of the many nationalities who came to the United States during the peak years of immigration. Dr. T. Bruce H. Anderson, a U.S. Public Service Physician at Ellis Island, 1919-1922, interviewed in 1977: Ellis Island was a place of great happiness and great sorrow. The coming together of families that had been separated for years was marvelous to see. Unfortunately, times did occur when a family had to be separated because of deportation or death. Then you wished you were somewhere else. Martha Strahm, a Swiss immigrant in 1920, interviewed in 1983: "Two year-old Walter took sick and was admitted to the hospital. 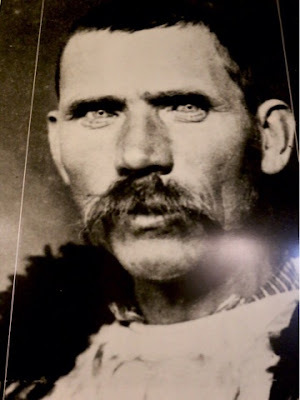 He was there six weeks and died on February 9, 1921. 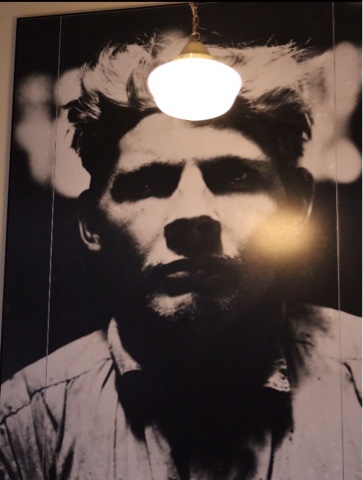 We were confined on Ellis Island those six weeks. Our days there were very long days and only one of us could go visit ou sick boy for five minutes, once a week. We had to put on a gown as we were not allowed close to him... Ou boy died ten minutes after 11:00 pm and we had to spend the night there. After all these years the picture in my mind is so clear when they took him down the hall wrapped in a sheet." 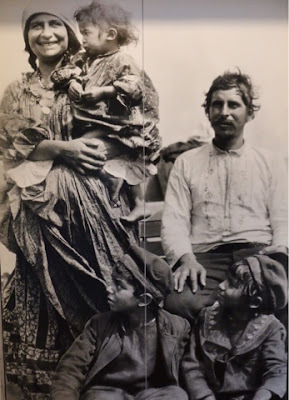 Louis Adamic, A Slovenian immigrant in 1913, in his autobiography, "Laughing in the Jungle": My boyish imagination was aflame with America... At that time I accepted as truth nearly everything I heard about America. I believed that a single cattleman in Texas owned more cattle than there were in the entire Balkans. And my credulity was not strained when I heard that there were gold-mines in California, and trees more than a thousand years old with trunks so enormous that it required a dozen men clasping each other's hands, to encircle them with their arms. In America everything was possible." 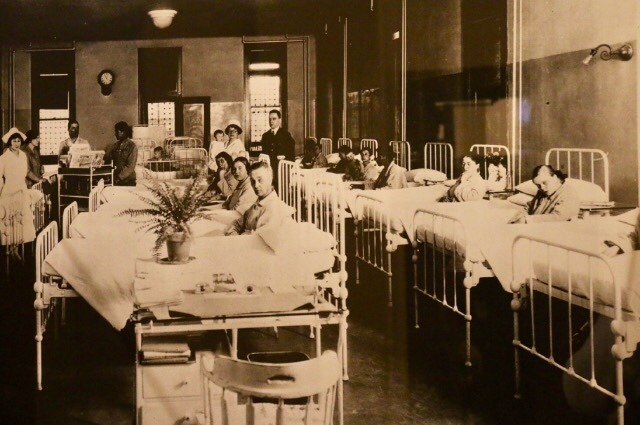 The Ellis Island hospital, staffed with 40 doctors, dealt with every kind of medical impairment, from slight injuries to rare tropical diseases. One observer said, "It is at once a maternity ward and an insane asylum." 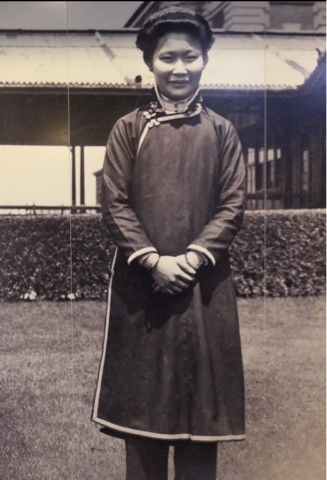 By 1911, more than 15 buildings on the island were devotee to medical care. The U.S. Public Health Service operated a 275-bed hospital and contagious disease wards with a total of 450 beds. There was a psychiatric ward, laboratories, operating rooms, an X-ray room, and a morgue. 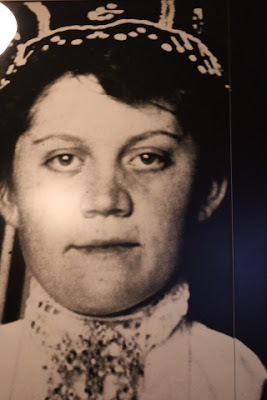 Records dating from 1900 show that over 3,500 people, including more than 1,400 children, died on Ellis Island. Burials were arranged by either friends or relatives, charity associations, or, as a last resort, by an undertaker contracted by the Immigration Service. Though death was a far more frequent occurrence, births too were part of the hospital routine. 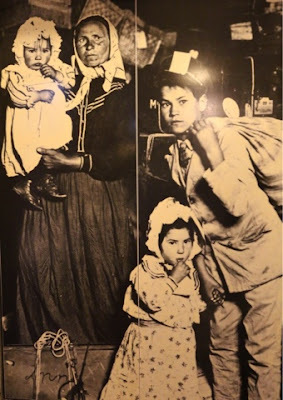 Over 355 babies were born on Ellis Island. During Ellis Island's busy early decades, its detention rooms were generally packed with anxious and bewildered immigrants. Detainees were caught in a limbo of enforced idleness, suspended between fear and hope - fear that they would be sent back to their homelands and hope that they would soon be permitted to land. Meanwhile, they sat on hard wooden benches and waited. Sometimes their confinement was broken by visits to the roof garden, where they could get a breath of fresh air and their children could run around in a small playground. 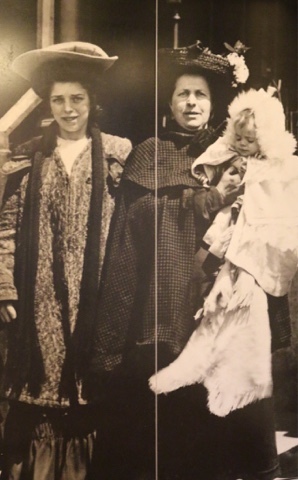 Regarding the above photograph, this mother and her children came to represent the immigrant experience when their photograph was taken and published worldwide. Eight decades later they were identified as Anna Sciacchitano and her children, Paul, Mary, and Dominic, who came to join her husband, Giovanni Gustozzo, in Scranton, PA.
Euterpe Dukakis, a Greek immigrant in 1913, interviewed in 1985: "Everybody was going to America, and so my older brother... was 18 and decided that Greece didn't have very much of a future for him at the time... so he decided to go the United States... In two years he sent enough money so that my younger brother could join him. And in another... four years they sent money for the six of us to come." In 1911, a kosher kitchen was set up on Ellis Island to serve the many Jewish immigrants arriving in New York from eastern Europe. 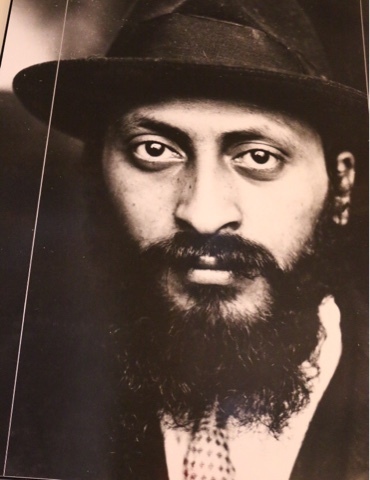 For religious Jews, this service was vital. Since many ships did not serve kosher food, their Jewish passengers were seriously undernourished by the time they landed at Ellis Island. Women and children received special care as well. They were served snacks of warm milk and crackers every afternoon and evening. Immigrants who did not know English were easy prey for unscrupulous labor brokers who offered to find work of their newly arrived countrymen. Once an immigrant had agreed to take a job, he or she was often exploited, forced to work under dangerous conditions and for meager wages. Immigrant aid societies tried to protect new arrivals from these predators, who prowled the Battery looking for recruits. Social workers escorted their charges from Ellis Island directly to the safety of a society's office, where the newcomers could apply for jobs that paid decent wages. Albert J. Carrier Collection: 700,000 Mexicans, some fleeing the Mexican Revolution and many others drawn by the expanding U.S. economy, officially entered the country between 1900 and 1930. The number of immigrants was actually much higher because most of the border was open and unregulated. Isabella Mendoza, a Mexican immigrant in 1915, quoted in Morrison and Zabusky, "American Mosaic", E.P. Dalton, 1980: "We went to the border and came across. We didn't have no paper, no nothing.. but in those days it wasn't so hard. My aunt knew someone who knew a guard at the bridge, and she went up and started to talk to the guard, an she gave him eight dollars. And while they were talking, my mother took me on her shoulders and waded through the river on the other side. It wasn't so deep then; the water just came up to her shoulders. And when we got up on the other side, my aunt stopped talking to the guard and he let her go across because she'd paid him the eight dollars." 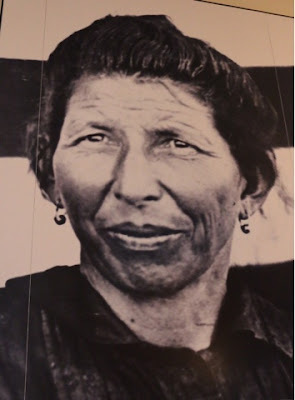 Ores Telia, an Italian immigrant in 1916, interviewed in 1985: We got oatmeal for breakfast, and I didn't know what it was, with the brown sugar on it, you know. I couldn't get myself to eat it. So I put it on the windowsill, let the birds eat it." Regarding the above photo, I was not able to get a good photograph but perhaps the "spotlight" is appropriate after all: The photographer noted: "The desire to come to America must have been very strong for this young man to face all sorts of uncertainties. An excerpt from NYT "Various Paths by Immigrants in the U.S. Feb. 13, 1910: But there was never a period when the spirit of restlessness was so generally abroad over the world as it is now. Even little Norway lost by emigration last year 25,000 of its population. They didn't all come to America by a good deal - they scattered all over the world. And this very restlessness, combined with the ease with which human beings can now travel, suggests that this may soon be a very different world than it has ever been." 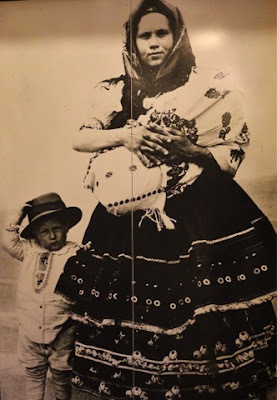 Regarding the above photo, the photographer noted: This woman is wearing her native costume. 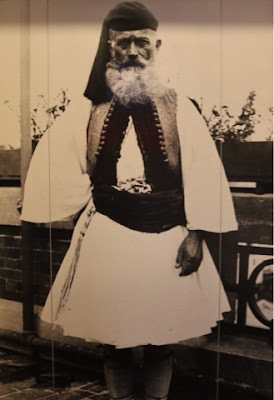 At times the island looked like a costume hall with the multicolored, many-styled national costumes. F. L. Dingley, "European Emigration, Gov. Printing Office, 1890: "The United States is El Dorado as never before... Men walk 100 miles by devious and obscure routes and byways... to find some road that leads to the United States. All roads no longer lead to Rome, but all highways and seaways lead to America." During the peak years of immigration, detentions on Ellis Island ran as high as 20% for all immigrants inspected. A detainee's stay could last days or even weeks. Many were women and children waiting for a relative, or for money to arrive so the could purchase tickets to their destinations. Others were waiting for a hearing before a Board of Special Inquiry or for a final decision for Washington, D.C. Perhaps the most poignant of the detainees were families waiting for a sick parent or child to be released (and approved) from the Ellis Island hospital. 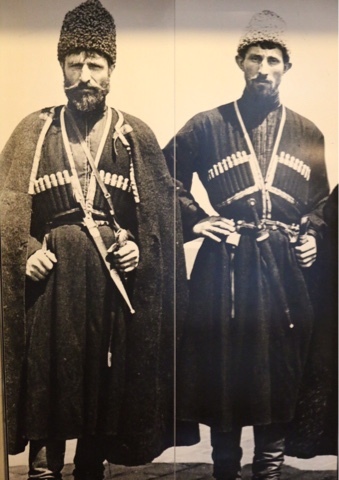 Regarding the above photo, these men worked in Buffalo Bill's Wild West Show as "Cossacks." The Buffalo Bill Museum has tentatively identified the man on the lefts as Iason Imnadze and the man on the right as Kirile Khoperia. 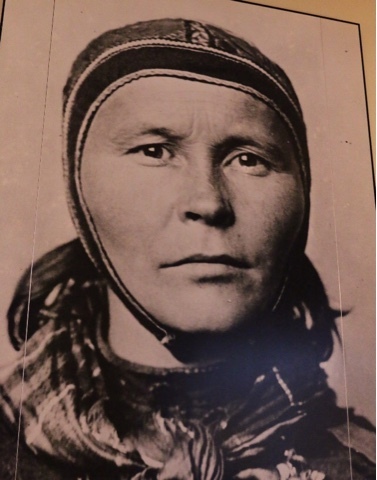 Ellis Island had a dual reputation among immigrant groups. Th anxiety over inspection and detention often caused emotional scenes - a chaotic mixture of fright and despair giving way to joy and relief. For the 98% who were permitted to land in the United States, Ellis Island was an Isle of Hope. Many families were reunited here after having been separated for years. The place in the main building where immigrants first saw their American relatives and friends well deserved its epithet, "The Kissing Post of America." 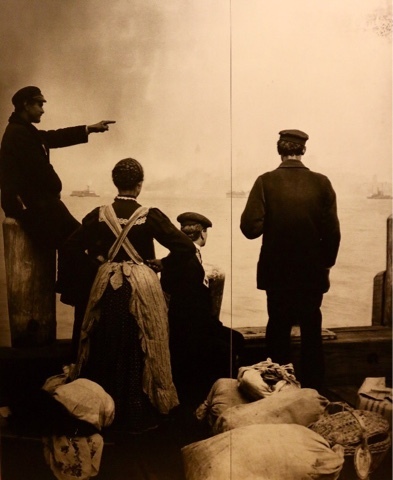 For the 2% of the arrivals who were excluded and sent back to their points of embarkation, Ellis Island was a bitter Isle of Tears. Though 2% may sound insignificant, sometimes it translated into over 1,000 exclusions a month. The "excluded" were immigrants being sent back to their ports of embarkation without ever having entered the United States. Most of these excluded appeared unable to work or support themselves. They were called "L.P.C. 's" short for "liable to become public charges." Many others were denied entry because they were suffering from a contagious disease (or psychiatrically unsound) or were suspected of being contract laborers. 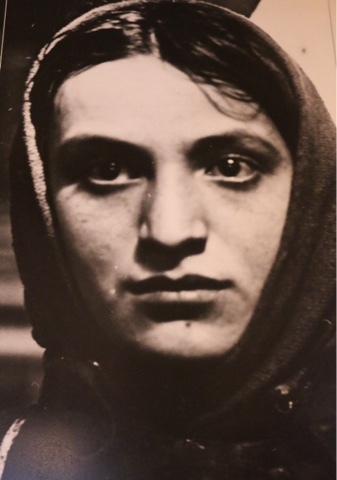 Barbara Barondess, a Russian Jewish immigrant, 1921: The time I spent on Ellis Island seemed like the longest waiting period of me because of the regime. Naturally there had to be a regimen. It was the only way that they could handle that many people. I realize it now in retrospect. But at the time it was a nightmare ... They weren't unkind, but you had no communication with the people who took care of you... And you had no communication with the other people that were there because everybody was so full of their own fright. A private restaurant concession operated Ellis Island's dining room. Its costs were charged to the steamship companies, which were required by law to provide food for former passengers who had been detained. Hundreds of people from many diverse cultures were served three meals a day in the large, tiled dining room. According to most contemporary observers, the meals were plain but wholesome. Though boiled beef, stewed prunes, and baked beans were the restaurant's staples, many immigrants also remember eating American favorites such as ice cream, bananas, an white bread. "The Red Scare" In the wake of the Russian Revolution of 1917, mass hysteria against aliens suspected of being Bolsheviks or anarchists swept the United States. Federal officers raided ethnic clubs an labor unions, such as the International Workers of the World (IWW). Alleged alien radicals were arrested and sent to Ellis Island by the hundreds. Perhaps the most famous personalities caught by federal agents were anarchists Emma Goldman and Alexander Berkman. On December 21, 1919, after a short stay on Ellis Island, they were deported to the Soviet Union, together with many other radicals, aboard the S. S. Buford, a U. S. Army transport dubbed the "Soviet Ark". Donald Roberts, a Welsh immigrant in 1925, interviewed in 1985: There was a man that came around every morning and every afternoon, with a stainless steel cart, sort o like a Good Humor cart. And the man was dressed in white and he had warm milk for the kids. And they would blow a whistle or ring a bell, and all the kids would line up and he had small little paper cups and he had a dipper and every kid got a little milk, warm milk. That was one thing that sticks in my mind. 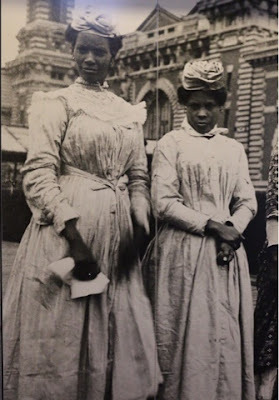 The great migration of 1880-1924 (of which over 26 million people entered the United States) arose from the troubled conditions of 19th century European life. Overpopulation, land shortage, and unemployment created severe economic burdens, while legalized persecution threatened ethnic and religious minorities. Driven by hardships at home and drawn by the promise of economic opportunities, millions came to the United States. Despite the emotional pain of leaving family, friends, and home, these travelers hoped that their lives in America would somehow be better. By the late 19th century, a transportation revolution made travel easier and faster. 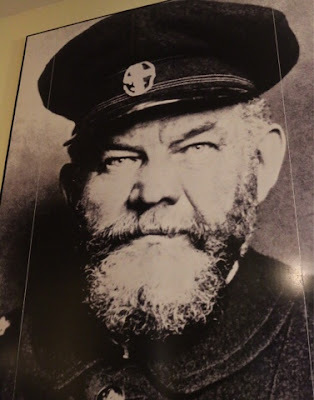 Immigrants could take trains from village to seaport and then board a steamship to cross the ocean. Many of them made th trip several times, working in America, saving their money, and then going home again. 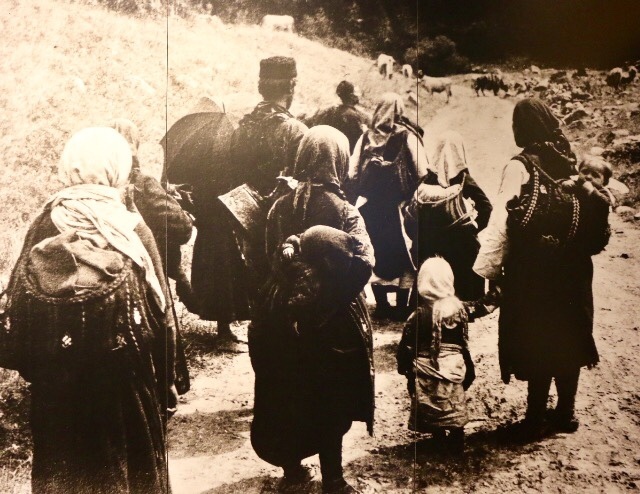 It is estimated that as many as 1/3 of the immigrants traveled back and forth, some finally staying in the old country, others settling in the United States. Bertha Devlin, an Irish immigrant in 1923, interviewed in 1985: "Well we didn't have anything to do in Ireland, there was no work. And, you didn't want to be poor all your life. You could have married an old farmer if you wanted to and stay there for the rest of your life, and work on that old farm. I could have done that. But I wasn't about to do that. He had a mother and a father and I'd have to go in and live with them and do as they told me to do... So I said, "Goodbye, I'll see you later." Happy Valentine's Day to all friends, poets, travellers! 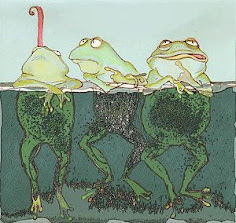 What a great day to share poetry in the toads' patch of the blogosphere. What did I know of love? 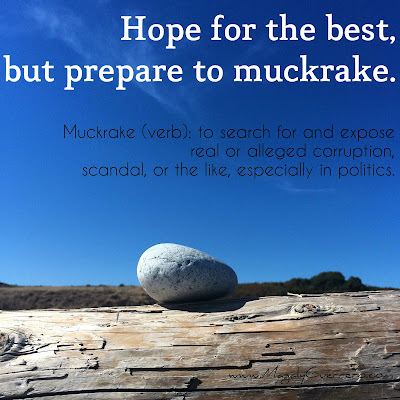 Please link up a poem of your choice today - and bring the love. I just spent a lot of time conversing with a friend who speaks, thinks (and seems to look at other people) in altered axioms. If you don’t know him, you might think that he’s just a bit silly, even confused. But if you listen to what he is saying, then you might see what I’ve seen: my friend is hilarious (and completely addicted to proverb deconstruction). With that in mind, for today’s prompt, I invite you to take a famous proverb, change some of its keywords, then use the altered version to write a new three-stanza poem or a short story (of 313 words or fewer). Please share the original proverb somewhere in your post. When you are done writing, feed the direct link to your entry to Mr. Linky. 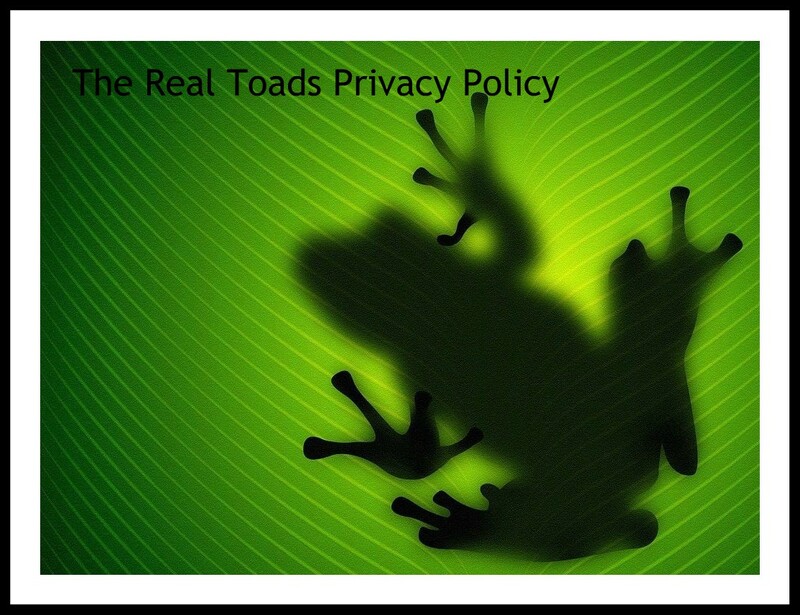 Visit other Toads. Toads! Today in the Garden we are taking back WALLS. Thank you, Mister Tom Petty. Toads, please watch, listen, write, and share a poem on the subject of WALLS. And enjoy!